FY11 equipped with race inspired seats and steering wheel. 28 January 2019, Hangzhou China. 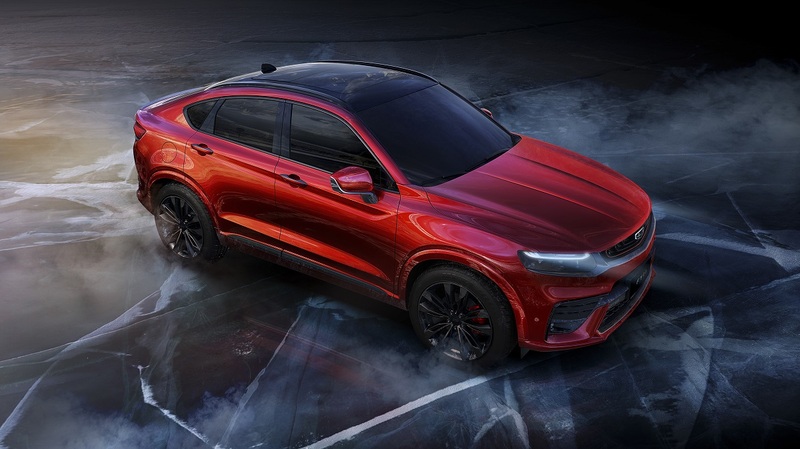 Official photos of Geely Auto’s upcoming Sports Coupe SUV, codenamed FY11 has been unveiled. As Geely’s most driver centric model yet to come, the FY11’s interior design places heavy emphasis on the driver. 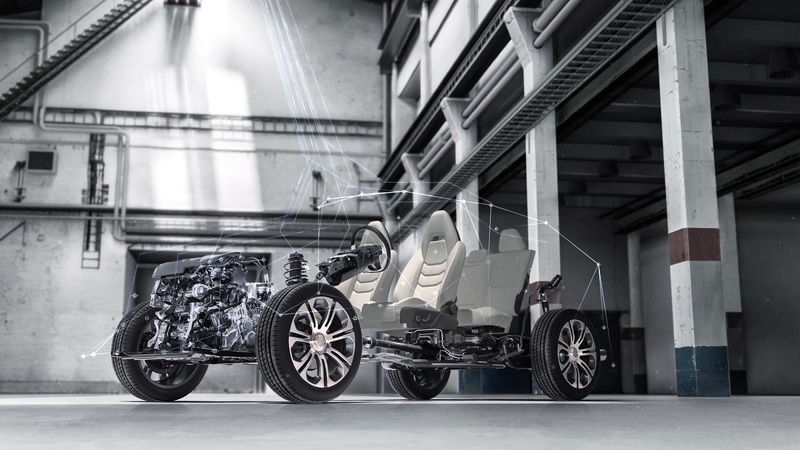 The FY11 interior deviates from the normal balanced interior with its asymmetric design focused on the driver. 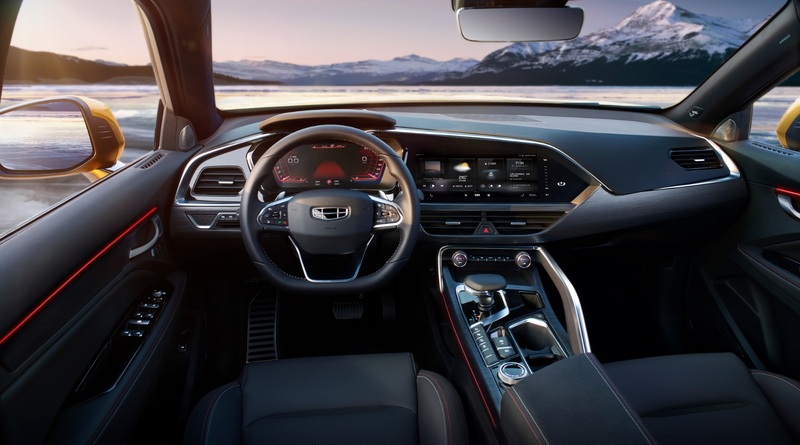 The big-screen infotainment panel adopt a flying wing design that is tilted slightly toward the driver, providing them with a unique view from the interior. The dual layer dash contain a chrome portion starting on the driver side and matte black portion on the passenger side. 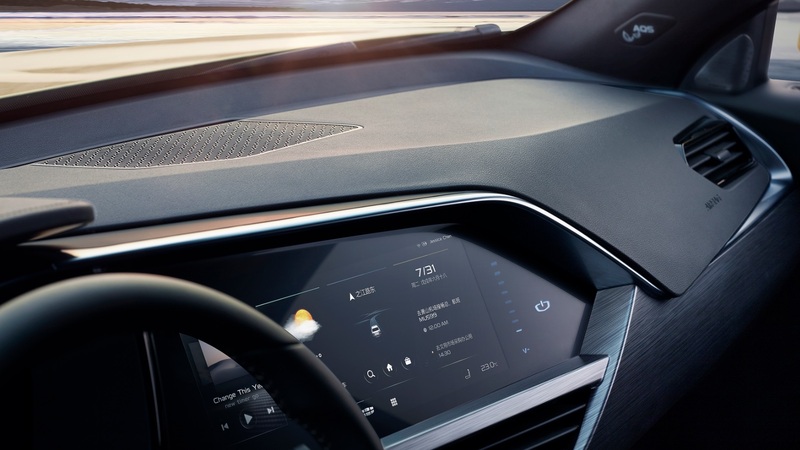 Extending from the driver side a chrome strip outlining the infotainment panel is interlaced and layered under the cover of the matte black dashboard. The contrast between the chrome and matte black dash creates a unique three-dimensional visual effect. 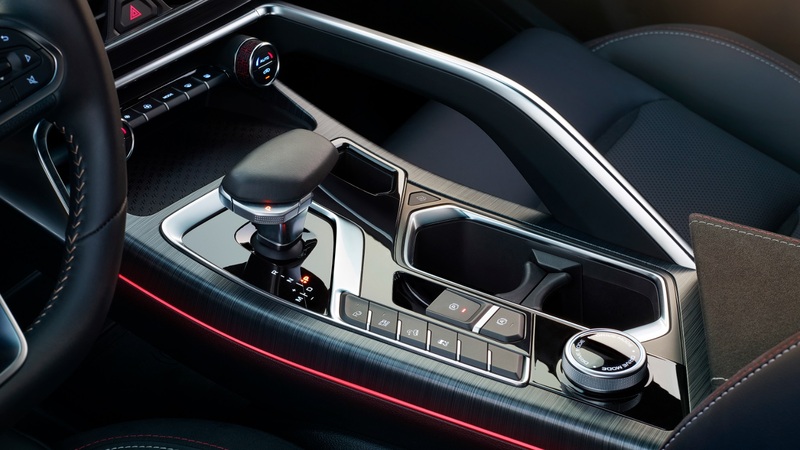 Sitting on opposite ends of each other are embossed black air vents, each sitting on top different layers of the dash, the driver side on top the chrome layer and passenger side on top the matte black layer further emphasizing the asymmetric nature of the interior. The steering wheel equipped in the FY11 is a small multi-function flat bottom wheel made to give drivers a heightened sense of control. The design of the interior door panels was inspired by the traditional art of origami folding. Sharp lines outline the ergonomic door handles and ample storage spaces. 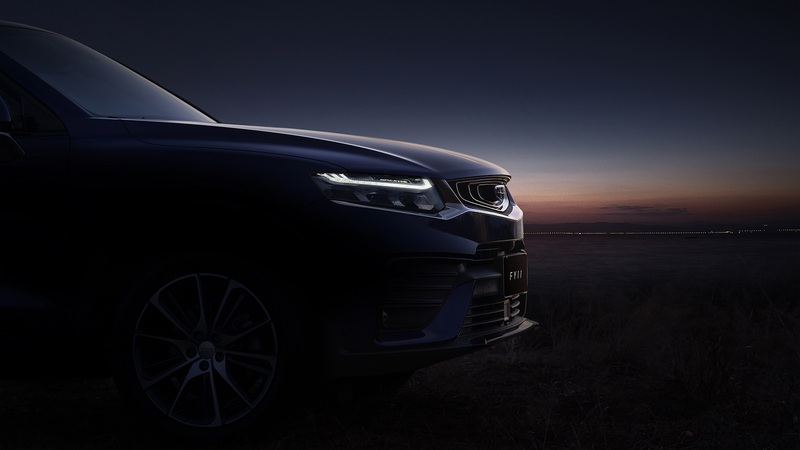 In the central controls, well-known Geely Auto design elements are present including the airplane throttle-styled shifter and metallic handrails. Not only does the central controls give off a high-tech feel, it is also tilted slightly towards the driver, enforcing the driver-centric nature of the FY11. 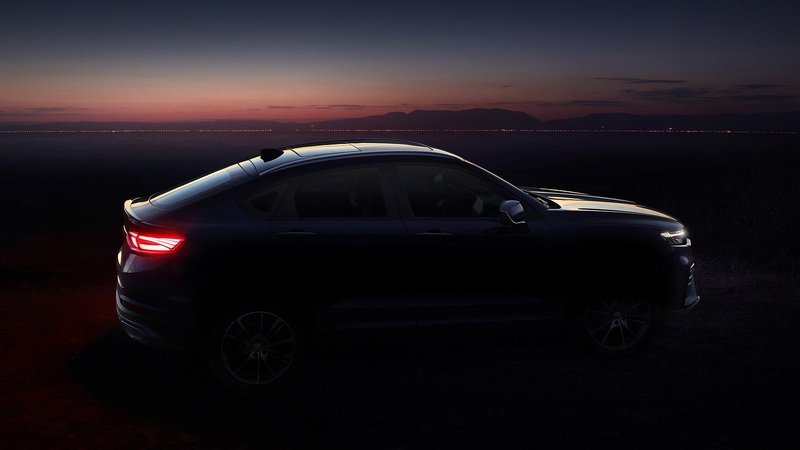 The door and central controls are also equipped with an ambient light which highlights the sporty nature of the model. The black seats of the FY11 draws inspiration from the bucket seats inherent in race cars while also paying attention to comfort. Careful attention was also paid to the stitching on the seats which match the colours of the interior dash and ambient lights. 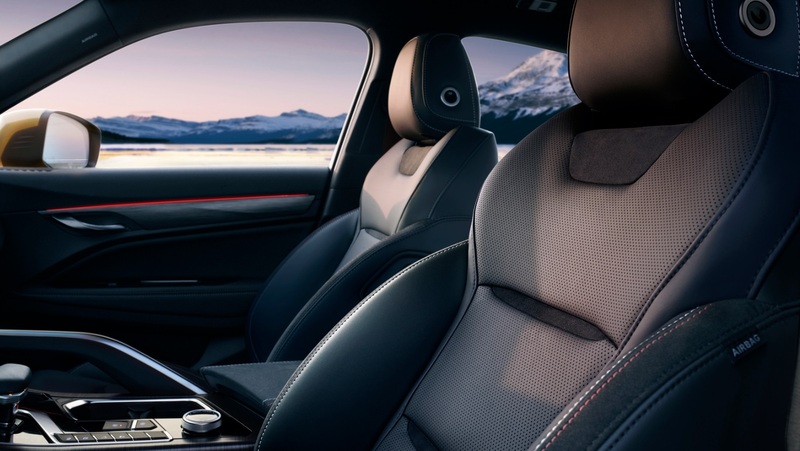 The headrests on the seats were designed with the headrests found in first-class airline cabins as a reference, which raises the benchmark for ergonomics and comfort. 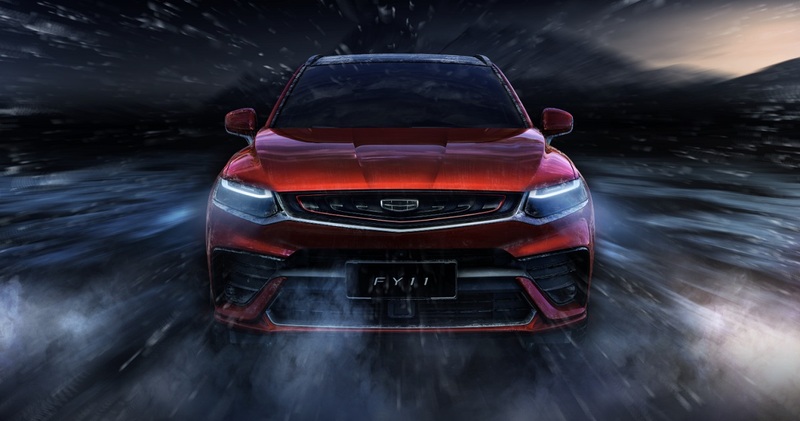 Geely Auto’s first model on the Compact Modular Architecture will come equipped with a high-performance 2.0TD engine that offers maximum power of 175kW and maximum torque of 350·m. 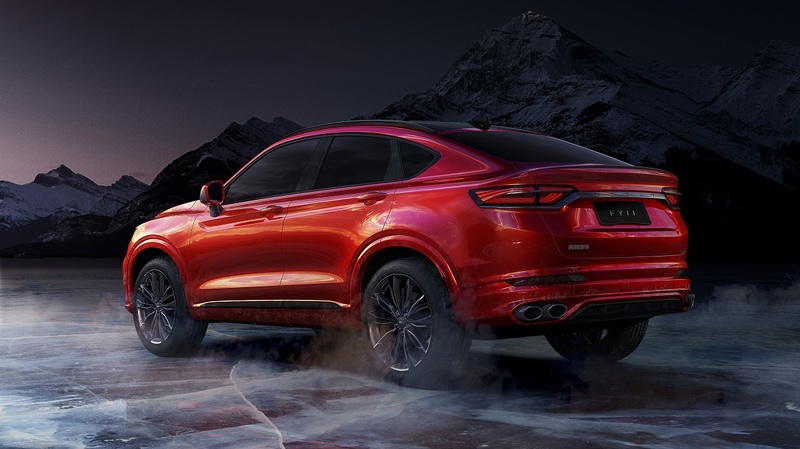 Together with its innovative design, the FY11 is set to become a new benchmark for a driver-oriented Coupe SUVs within its market segment. 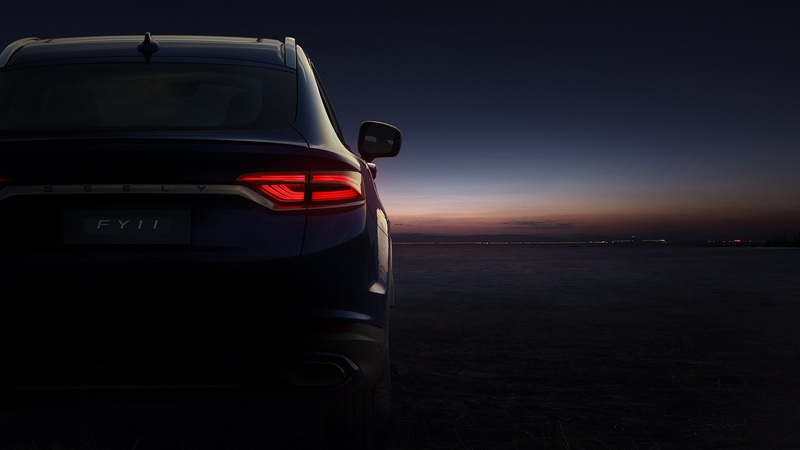 The highly anticipated model will be launched in the near future.